What's New in WordPress 3.7? Usernames, common words, dates, and other basic password fodder are now labeled very weak or weak. This will strongly deter the uninitiated password enterer from creating a code that is easy to guess or hack. From the perspective of a WordPress reseller or host, this is good news, since it means less hand-holding of the client. This extends beyond passwords and into Automattic Updates. Keeping those gears turning, even while you sleep. How do Automatic Updates Work on WordPress 3.7? Out of the box, WordPress 3.7 will enable automatic downloads of the WordPress core CMS. Put simply, when WordPress 3.7.2 arrives, it will automatically update. When WordPress 3.8 launches, it too will update. The big concern prior to the release of 3.7 was the impact that an automatic update would have on a VERY CUSTOM WordPress-powered website. If there is concern that updating automatically may ruin the state of a website because too much of it is reliant on old versions, you may want to disable the automatic updates from the back-end. The other highly touted feature in WordPress 3.7 is improved language support. Sure, it’s great when you speak and read the native language of a program. If you do not in fact read English (and, if that is the case, congrats on getting this far into the post! ), WordPress language packs are now separately installed from the core. Installing the packs separately allows the software to detect which language should be installed by default. The country or computer language from the install will determine how this is handled. Searching for things has never been simpler, and the search indexing within a website has been greatly improved. Basically, if some passerby decides to search for something on your website, WordPress is going to do a much better job and is going to find more relevant results. The improved search bar means that people will be able to find what they are looking for quickly, decreasing the bounce rate on the page and allowing for better navigation of YOUR precious website. A few new development actions, hooks, and filters have been included in the new update as well. wp_get_sites – Used to display an array of informations if you are managing multiple sites. Powerful stuff. save_post_($post) – Target certain actions to happen only when specific post types are saved, not ALL post types. Improved date queries allow the user to display content that was originally posted before or after certain dates. If you are a newer coder or have had issues with WordPress support in the past, you know the documentation could potentially be frustrating and unhelpful. The guys at Automattic listened, and so WordPress 3.7 has improved inline documentation in the core WordPress code. This will make it easier than ever for folks to get answers to questions that they may have had, without scrounging the entire surface of the web for a quick solution. Is SEO or Content Marketing affected on the new WordPress? As mentioned above, WordPress 3.7 is as great for resellers as it is for the user. Businesses can also benefit from the new update when it comes to content creation. One of the new features made on the developer end to comment moderation can help in a big way. The wp_notify_moderator function can now be used to send email notifications of new comments to people OTHER THAN THE MODERATOR. This means that a business owner with a small marketing team can give access to specific marketing materials without giving up access to all parts of the WordPress back-end. 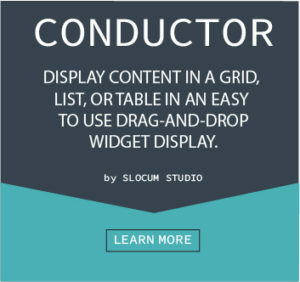 Our recommendation here at Slocum Studio is to download and enjoy the newest version of the web’s most powerful CMS. Did any of the development explanations go over your head? Were there any questions about the new update or its implementation on your website? Contact us for help or subscribe to us to be kept up to date with the best WordPress content on the web.